Support the Migrant Exodus in the Border! After migrants in the caravan arrived to Tijuana, they were met with tear gas, bullets and an increasingly tough asylum seeking process. Many migrants and their families are camped along the border as they await this strenuous process. With limited resources, warmth, and access to food, shelter, and legal representation, we are calling on all people of conscious to support. 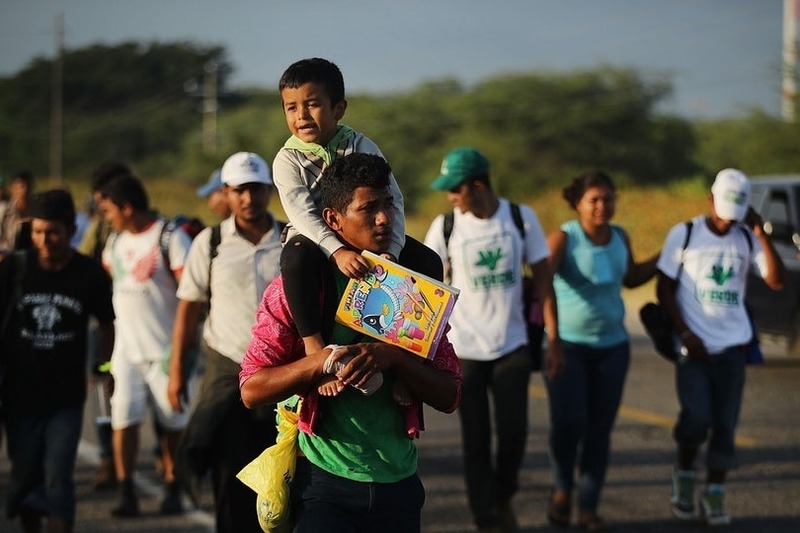 Washington Immigrant Solidarity Network groups and leaders are looking for your support in successfully donating, delivering, and buying resources for migrants and refugees currently in Tijuana asylum seeker camps. 1) Buy resources (such as tents, personal hygiene items, etc) for migrants in camps. WAISN leaders like Ingrid, will be travelling to Tijuana to support families and efforts on the ground. Funds will be used primarily to buy the most pressing resources needed by families upon arrival. 2) Cover traveling costs for a smaller WA group driving to San Diego/ Tijuana to deliver diapers, toys, and clothes to migrant families camping across the border and in shelters. This team made up of WA immigrant youth and Colectiva Legal del Pueblo staff will be spending two weeks supporting local efforts in San Diego, with legal support in Tijuana, and supporting the leadership of grassroots leaders aiding refugee families. Please support if you can! Please watch and support our sistxrs and brothers!